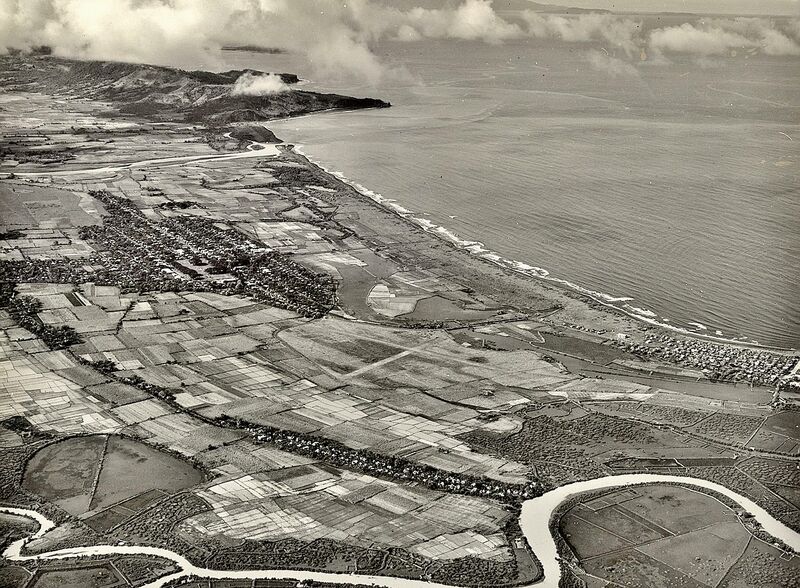 Aerial photograph of Nasugbu, Batangas taken in 1937. Image source: United States National Archives. The photograph above was taken on 7 November 1937 by an airplane flying from Nichols Airfield in Pasay (later Villamor Air Base). The shot itself was likely a reconnaissance photo of the Nasugbu Airfield, alternatively known as the Nasugbu Landing Field, which was owned by the Roxas y Cia trading company based in Echague in Manila. The picture clearly shows not just the airfield but also the town center or poblacion, as well as two of Nasugbu’s barrios. The shoreline and the sea, where United States Armed Forces made a landing in January of 1945, is also clearly visible. The photograph above was downloaded from the United States National Archives.